if you are a school teacher who looking for a simple and free of software to make a student ID card I would recommend my editable MS ACCESS which was designed for making a simple ID card for small school. 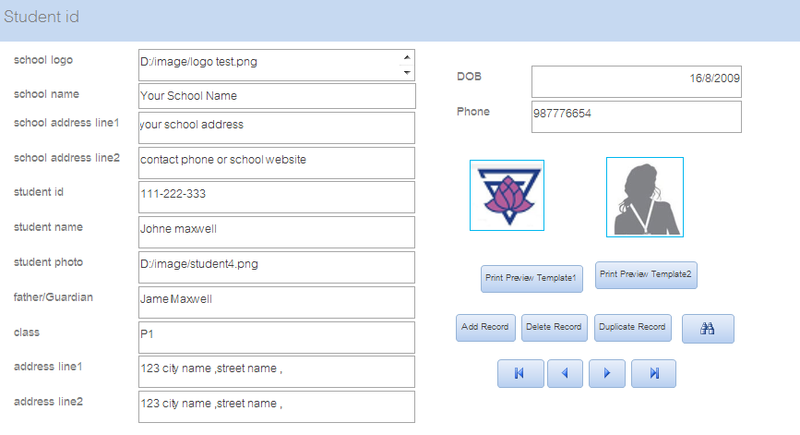 The Pro of the ID Card by Access Database. 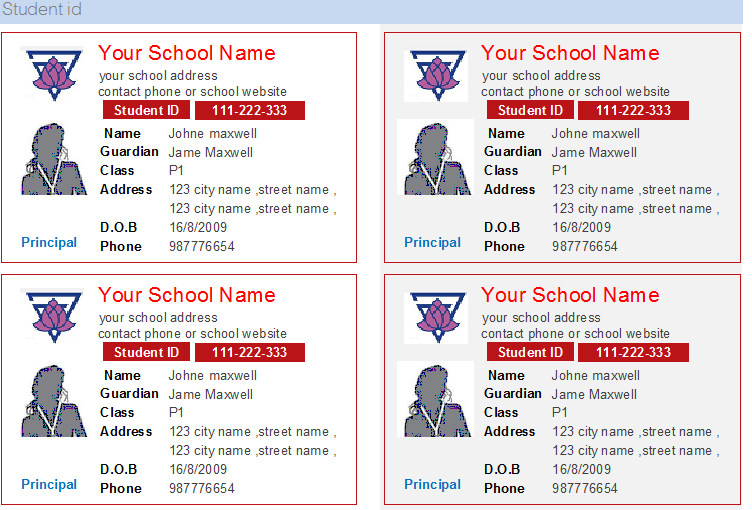 There are some pro like simple to copy ,delete ,view report ,search and edit for renew or reissue the ID Card and etc. However there are some cons as well like need the user to have understand the database knowledge Access or it would be difficult to edit the report template or database table. The 2 options templates may not fit or suit your need and may need to adjust for good looking. This sample can be ready to use or edit for more exactly need. If your school dont have a database software to make a student ID card or looking for the sample to edit this easy and simple MS Access is may be your choice. After that prepare a student photo. You can use the duplicate button to duplicate the previous data record and edit only the one which need to. There are two template report options for you to printout. There are 2 colums on A4 page contents 8 student id card. then cut the paper into the standard size card.